On the lookout for a new or used car, truck or SUV but don’t know where to start? We’ll steer in the right direction. From the most luxurious or the most reliable vehicles in the market, read what experts are saying about the vehicle you’re looking for with our shopping guides. Google Web Search - "Acura Buyers Guide"
Google Web Search - "Alfa Romeo Buyers Guide"
Google Web Search - "Audi Buyers Guide"
Google Web Search - "BMW Buyers Guide"
Google Web Search - "Bentley Buyers Guide"
Google Web Search - "Buick Buyers Guide"
Google Web Search - "Cadillac Buyers Guide"
Google Web Search - "Chevrolet Buyers Guide"
Google Web Search - "Chevrolet Truck Buyers Guide"
Google Web Search - "Chrysler Buyers Guide"
Google Web Search - "Dodge Buyers Guide"
Google Web Search - "Fiat Buyers Guide"
Google Web Search - "Ford Buyers Guide"
Google Web Search - "Ford Truck Buyers Guide"
Google Web Search - "Genesis Buyers Guide"
Google Web Search - "GMC Buyers Guide"
Google Web Search - "Honda Buyers Guide"
Google Web Search - "Hummer Buyers Guide"
Google Web Search - "Hyundai Buyers Guide"
Google Web Search - "Infiniti Buyers Guide"
Google Web Search - "Isuzu Buyers Guide"
Google Web Search - "Jaguar Buyers Guide"
Google Web Search - "Jeep Buyers Guide"
Google Web Search - "Kia Buyers Guide"
Google Web Search - "Lamborghini Buyers Guide"
Google Web Search - "Land Rover Buyers Guide"
Google Web Search - "Lexus Buyers Guide"
Google Web Search - "Lincoln Buyers Guide"
Google Web Search - "Maserati Buyers Guide"
Google Web Search - "Maybach Buyers Guide"
Google Web Search - "Mazda Buyers Guide"
Google Web Search - "McLaren Buyers Guide"
Google Web Search - "Mercedes-Benz Buyers Guide"
Google Web Search - "Mercury Buyers Guide"
Google Web Search - "MINI Buyers Guide"
Google Web Search - "Mitsubishi Buyers Guide"
Google Web Search - "Nissan Buyers Guide"
Google Web Search - "Nissan Truck Buyers Guide"
Google Web Search - "Oldsmobile Buyers Guide"
Google Web Search - "Pontiac Buyers Guide"
Google Web Search - "Porsche Buyers Guide"
Google Web Search - "RAM Buyers Guide"
Google Web Search - "Rolls-Royce Buyers Guide"
Google Web Search - "Saab Buyers Guide"
Google Web Search - "Saturn Buyers Guide"
Google Web Search - "Scion Buyers Guide"
Google Web Search - "smart Buyers Guide"
Google Web Search - "Subaru Buyers Guide"
Google Web Search - "Suzuki Buyers Guide"
Google Web Search - "Tesla Buyers Guide"
Google Web Search - "Toyota Buyers Guide"
Google Web Search - "Toyota Truck Buyers Guide"
Google Web Search - "Volkswagen Buyers Guide"
Google Web Search - "Volvo Buyers Guide"
*Some Brand Buyers Sites still under construction. Auto Buyers Guides on The Auto Channel provides serious auto shoppers the power to Compare, Research and Price New and Used Cars, Light Trucks and RVs, without "information glare" getting in the way of the knowledge they need to make a realistic purchase consideration list. The Auto Channel.coms editors review the latest cars, minivans, SUVs and trucks every year and Provide Tools To Compare Them With Their Competition. After Expert Analysis, Our Editors prepare buying guides that recommend the leading models in every vehicle segment, from convertibles to hybrids. These buying guides are meant to help you learn which models are class standouts before you begin to shop. Whether you're looking for a fuel-efficient small sedan, an eight-passenger crossover SUV, a sleek luxury coupe or anything in between, these recommended vehicles should help establish some guidelines for your search. Users are able to easily research and compare models by over 232 criteria; capacities, dimensions and performance Users can compare the latest models with their predecessor...read professional reviews, compare specs and prices and become a smarter buyer. Every Brand Research and Buyers Guide contains: 2018-1993 Reviews and other exclusive and helpful unbiased Research tools that allows vehicle shoppers to Compare Every Model sold in North America side-by-side-by-side-by-side; Rank every vehicle and brand by Specs, Rank and Compare Every Model by dimensions, capacities and performance; Compare Crash Test Results direct from the NHTSA, IIHS and NAC. Don't Worry, The Auto Channel The Web's Automotive Mother Site (On Line Since April 1995) Does Not Sell Your Name; Ask For Zip Codes, No Phone Numbers, No Bull, We Just Deliver A Compendium Of As-It-Happens Automotive News, Archives Of Millions Of News Stories and Vehicle Data (1993-Present), More Than 11,000 Professional Research Tool Enhanced Car and Truck Reviews; Big Balls Street Smart Alt Fuel Opinions, Created and Edited By A Team Of The Most Experienced Innovative Staff Of Any Web Site. After 22+ Years On Line Our "Invented Here" Format and Original Research Tools Remain The Most Plagiarized Automotive Content Elements On The Web. 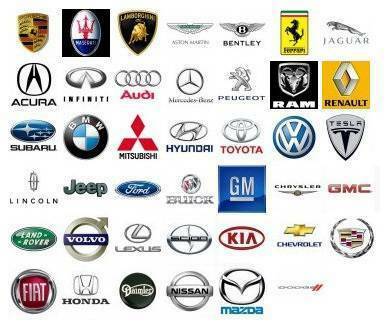 Every Brand Research and Buyers Guide contains: 2018..1993 Reviews and other exclusive and helpful unbiased Research tools that allows vehicle shoppers to Compare Every Model sold in North America side-by-side-by-side-by-side; Rank every vehicle and brand by Specs, Rank and Compare Every Model by dimensions, capacities and performance; Compare Crash Test Results direct from the NHTSA, IIHS and NAC. Includes data for ALL current model new cars and trucks sold in North America. Includes data for ALL 1997-Current model new cars and trucks sold in North America. Includes data for ALL Current 45MPG model new cars and trucks sold in North America.